From Nana's Cottage, children & teen activities, to field trips, the whole family can enjoy this little slice of paradise together! Looking for something more in the area while you are here... check out our Did You Know flyer here. This includes a complete list of all different types of activities, events and shows in the area with location and travel time from the club. Want to learn to surf? There are opportunities for everyone in the family to learn! 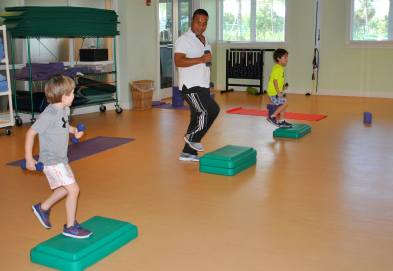 Contact the Activities Team at 954-941-2220 or activities@hillsboroclub.org for details. Children have their own special place at Hillsboro. 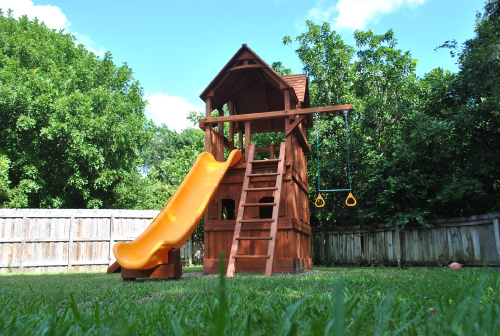 Nana's Cottage and the playground are the center of the children's program, a fully-supervised schedule of daily activities that bring all the children together. A typical day includes arts and crafts sessions, stories, indoor and outdoor games, and a movie in the evening. Along the way, there is a morning snack time, a children's afternoon tea and also a children's dinner with its own menu. Of course, with the children happily off with their friends, parents can have a little more time to themselves. 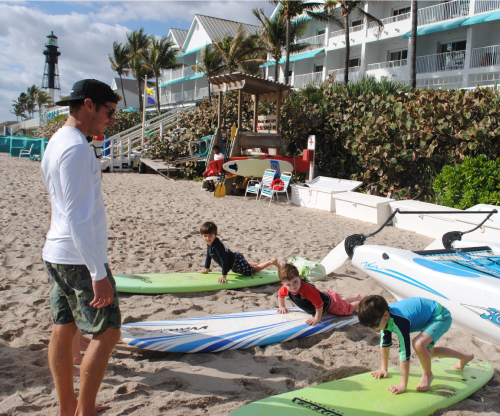 Surfing, kayaking, snorkeling, and beach volleyball are among a full schedule of fun activities for older children to enjoy and meet others their own age. Babysitting at the Club may be arranged in advance for a fee by contacting Anne Schumacher at 954-790-2998 or email, babysitting@hillsboroclub.org.